You are here: Home / Blogging / Top 10 Best Blogging Resources for Every Level + Passion Planner and Getting Things Done Giveaway! Top 10 Best Blogging Resources for Every Level + Passion Planner and Getting Things Done Giveaway! Are you a blogger who struggles with wanting to grow your traffic and income but don’t know how to really do it? Or you know exactly what courses you need to take but they are so out of your budget when your blog isn’t making money yet? Or are you overwhelmed with so much courses offered that you don’t know which is the best investment for your current stage in your blogging journey? Believe me, I’ve been there too. In my 6 years of blogging, I’ve taken my share of free courses and webinars. And I’ve plunked down more than I care to admit for various courses, tools and bundles promising me success. And while some are worth the time and investment*, sadly, many definitely were not. Either because I didn’t make time to complete them in a timely manner or because the content was not valuable to me in the stage of blogging I was in. I learned I had to be more selective and intentional with my time and my money when it comes to choosing courses to invest in. And I thought I’d share my experience with you, so you don’t make the same mistakes I did. One investment choice I have not regretted is the Genius Blogger’s Toolkit*. It is for sale for only one week each year. With that limited sale, comes 98% off a ton of amazing resources. I bought the bundle last year and have made great use from what I learned. So much so, that when submissions came around this year, I had to be a part of it and submitted my first product, the Free Your Mind Blog Planner, to get you to Dream Bigger, Get Organized and Achieve Your Dream Life. But my planner is not the only reason that the Genius Blogger’s Toolkit is a fantastic value. I’ve gone through this year’s toolkit and I wanted to break down for you the best courses to take depending on your blogging experience. Blogging can be confusing and overwhelming. Where do you start and how do you get it all done? My favorite resource hands down is Elite Blog Academy* (EBA) which walks you through step by step the blogging process from writing to making money and creating products. EBA has yielded me incredible results already and I’m only almost halfway through it. Founder of EBA, Ruth Soukup, just hosted EBA Live conference called Activate in Portland, Oregon in September that I was dying to go to. The travel cost was prohibitive for me this year but lucky for us, ALL the videos from Activate main event and the workbook they used are included in the Genius Blogger’s Toolkit!! That’s a $297 value right there and pays for the entire toolkit which is less a fraction of the price! No flight or hotel reservation required to get a seat inside Activate and the content I know will help me launch my blog to the next level. The rest of these resources are icing on the cake. And if you love cake like I do, you’ll enjoy the party with what this toolkit has in store. Well you know, I had to tell you about my own planner in the bundle this year. It really is designed for all blogger levels and I created something I wish I had from day 1 of my blog. I’m a total productivity junkie and love reading books by the experts. 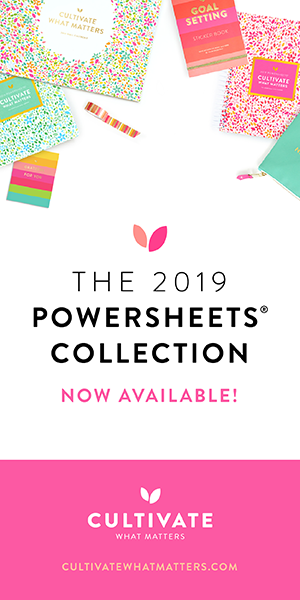 This planner includes a compilation of worksheets I created inspired by my favorite resources (including The 7 Habits of Highly Effective People, the Passion Planner and Getting Things Done: The Art to Stress-Free Productivity). It’s the one place you need to track all your blogging dreams and tasks so you can dream bigger, get organized and achieve your dream life! I loved this resource because it explained clearly what kind of disclosures, policies and copyrights we need to have on our blogs to protect ourselves. If you’re interested in setting up a business, Jackie also delves into the different types of business entities, their advantages and disadvantages and the difference in trademarks so you can make informed choices from the start of your business. This is the part of blogging we dread or avoid because it seems way out of our league, but Jackie breaks it down well in easy to understand terms and concepts. Since Jackie is an attorney, we are getting nearly 3 hours of videos worth of her expert advice plus privacy statement, disclosure statement and terms and condition statement templates without the attorney fees! Crystal Paine is the highly successful blogger behind Money Saving Mom and Your Blogging Mentor. I loved her Say Goodbye to Survival Mode book. Crystal is down to earth and teaches you by admitting her mistakes and how she overcame them. I devour anything she writes and her webinars because they are relatable and actionable. She gives it to you straight so you can run with her knowledge and expertise. Suzi’s course is jam-packed with video tutorials, an ebook and actionable worksheets to set your blog up right. This is the kind of start from scratch resource I wish I had when I started, instead of struggling my way through it learning as I go. With videos about how to start a blog to creating pins that will go viral to SEO, traffic and getting started with making money blogging, this course has it all to get you started and a few valuable freebies like 130 blog post titles to swipe and 480 Pinterest Group board to join thrown in. I’m still going through this one so I can fix mistakes I made when I started. Abby Lawson is the highly successful blogger behind Just a Girl and Her Blog and her gorgeous blog is focused on reaching her core readers. When I started blogging, it was difficult to focus in on the perfect niche. As a lifestyle blogger, I wrote about everything from my failing health, to coupons, to books, to recipes. It was a mess. If you need to water down your story to appeal to everyone, it will appeal to no one. But once I focused on my perfect niches (the ones I’m most passionate about), I heard more from my readers, my traffic and email list grew and I feel like I am really making a difference in people’s lives and serving them in the ways I’d like. Focusing in on your perfect niche will help you stand out among a sea of bloggers. You’ll be able to better reach the people who need and want to hear your message. Who will be encouraged by the passion you have for helping them. Abby’s one of the best in this area and her ebook is worth the quick read to help you focus your blog for success. ConvertKit Masterclass is an amazing class by Redefining Mom to walk you step by step through setting up, effectively using and growing your email list to build traffic and income from your biggest fans. I love watching her videos while I’m mopping or folding laundry. Her videos are clear, thorough and easy to understand. Her tips are actionable and effective and she shares with you her exact email sequences from start to finish to rope your readers in and turn them into paying customers and loyal subscribers. Whenever I take one of Monica’s courses, I think she undercharges for the value she provides. If you’re wanting to move to Convertkit* (which I did in May and highly, highly recommend), these tutorials are the best to demystify Convertkit and show you the power it’s capable of. I still avoid putting ads on my blog so rely on affiliate marketing for all of my income right now which limits me…a lot. But, I feel strongly about ONLY recommending products I have used myself and I feel a loss over that control if I do ads or even sometimes sponsored posts. So I really need courses like Affiliate Acceleration: Impactful Strategies to Increase Your Passive Income by Kayla Aimee is a very resourceful e-course designed to choose the right affiliates and use her smart strategies to boost my affiliate income. Kayla’s videos are clear and clever, including an email funnel sequence, 50+ high paying, high value affiliate programs and her looping technique to always crank out relevant posts with affiliate links inside. You can become an affiliate too for her course. I did, I’ve taken a few affiliate courses and this one is my favorite so far. Again, another video e-course that I enjoyed watching to make some of my more mundane WAHM tasks more enjoyable. Attracting new traffic has always been my nemesis. I have tons of old posts since I started this blog but my traffic all typically comes from Pinterest on a handful of really great pins. While I love that traffic, I’d love to see some traffic love get on my other posts too. And that’s where Lena’s Blog Traffic Bootcamp comes in. Lena’s course walks you through 5 challenges to find your best posts and maximize what they are doing for your blog. Clever and simple techniques to get the boost to your blog traffic we all need. Work-life balance is my biggest priority in my life right now. I did the full-time work outside the home thing and I got depressed, overwhelmed and burnt out. I am hoping my blog will earn an income so I can continue to have the work-life balance I’ve worked hard to master this year. That’s why I love that Prerna’s Sweetly Blended course focuses both on launching a killer business without sacrificing your family time. Her course infuses a fun foodie theme to her content including whipping up your “secret sauce” and “scaling” your success and brings in bonus interviews to help on more specialized topics like mastering an entreprenuerial mindset, working from home while homeschooling, growing your MLM or product business. I especially liked her pricing with confidence and clarity module (because it’s so hard to set a price when you are new to selling products and services), sleaze-free selling on social media and 15 Ways to Get an Extra 60 Minutes without Cloning Yourself! But we can all still wish for a clone right? All these 10 resources (plus 79 more!) are included in this year’s Genius Blogger’s Toolkit which I’m totally excited to be a part of. Bundle price: 98% off retail value, just $97! Includes access to Genius Blogger Toolkit User Manual Lesson Videos & Workbook to help you prioritize your learning and get down to the nitty gritty of why you blog and how you hope to grow. Please note that the content of the toolkit changes each year when it goes on sale. These courses are only available now all together in this bundle. Next time it goes on sale, the products will change. Well there you have it, the inside scoop on what I love about the Genius Blogger’s Toolkit*. As you can see, the toolkit is filled with amazing resources to get you from hobby blogging to blogging for income. Whatever your stage of blogging, this toolkit has many valuable resources that are worth the price! Don’t let this amazing deal for bloggers pass you by, I wish it was available when I had started blogging many years ago! What do you need the most help with when it comes to your blog? Don’t worry, learn more here and grab you bundle before it’s too late. The Passion Planner and Getting Thing Done are two of my favorite work from home productivity tools to help me stay focused. So I’m giving them both away this week and you get 5 bonus entries if you’ve purchased a Genius Blogger’s Toolkit* with my link, Just email me a copy of your toolkit receipt. (US only, winner will be chosen Monday, October 15, 2017 at 12am EST). one undated Limited Edition Paradise Blue Passion Planner (Classic Size 8.5in x 11in) – they are sold out of this size but you can check it out here. and a few other fun, little surprises. Prefer a dated 2018 Passion Planner? 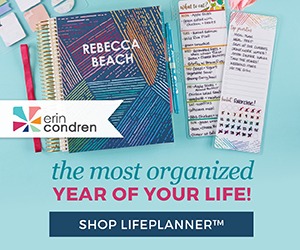 You can use my discount code TANYA10 to get 10% off your full priced items at PassionPlanner.com! What do you need help with the most for your blog? What stage of blogging are you in? My biggest challenge is thoroughly decluttering my house. 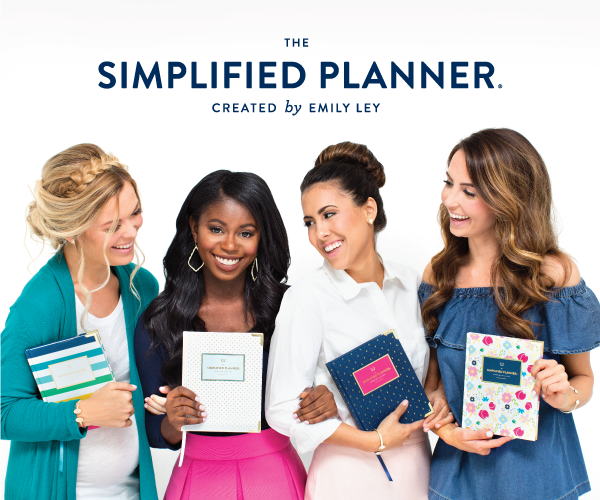 The planner can keep me organized and track my progress. The book can provide tips and inspiration to get the work done. My biggest challenge is just finding the time for everything! Working/Kids/Meal Planning/Cooking/Cleaning/Errands-hard to stay organized! Loving all of your tips though! I know what you mean Melissa! Are you a newsletter subscriber? I,have a couple free workbooks for subscribers that might help with that role juggling!! Thanks for the compliment, I love sharing tips that work for me and I’m always looking for ways to improve it. The Toolkit looks so awesome! I wish I could swing it this year, but I just can’t.. I’ll definitely keep an eye out for next year. I don’t blog but I read your wonderful blog, enter your contests and follow your RA experience since I have RA and am on Methotrexate tablets and humira. It has been an experience which required a great deal of patience and strength as you know. Wishing you happiness, great health and enjoyment. I always have loved stationery, journals and writing daily since it was important for my health journey and is an old school method which I treasure. I’m currently switching to ConvertKit but have no clue what I’m doing! The ConvertKit course is going to be SOOOOO helpful! And I can’t wait to dive into your time management planning resource! Kudos to you my friend!